The private prenatal class option is designed for the family that cannot make it to regular prenatal classes or just feels more comfortable discussing this topic in the privacy of their own home. This course will be tailored to you, depending on your needs and areas of interest. A hospital tour is also an option. Costs can be offset if you have expectant friends or acquaintances that would like to get together to form a small class with you. An inventory of your needs will be taken during the first few minutes of the class. Birth planning- yes or no? 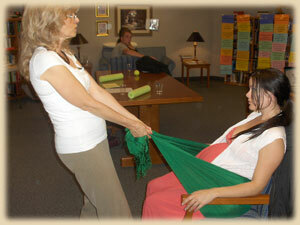 Cost for this private course is $40.00 per hour for mother and one support person. If you know another couple that is also interested in joining you the cost is $15.00 more per hour for each extra couple. Extra support people, $5.00 each. To register, or for more information please contact Wendy Muir by email or phone at 250-768-2562, or cell: 250-801-5004, email: Wendy@smallwonders.com or fill out the Contact Information, thank you.